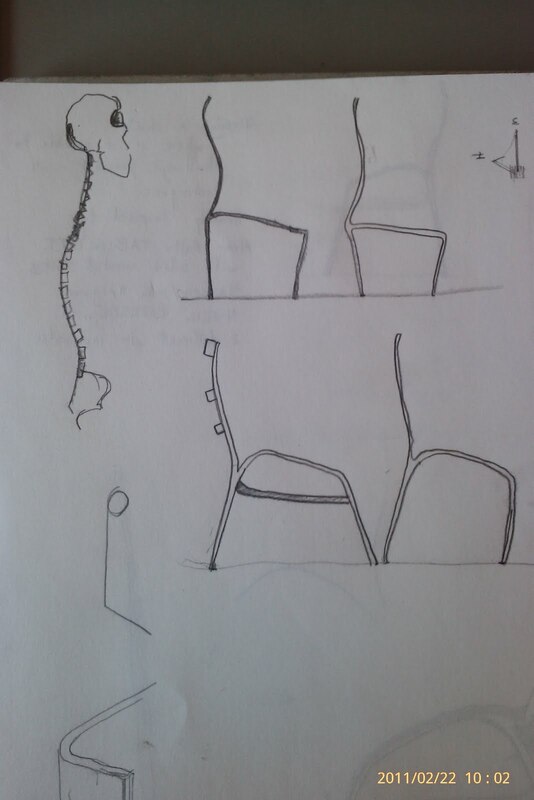 My idea for my exam work is to design a chair and make it using 4 different methods. 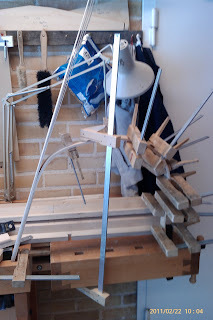 These include steam bending, laminating, lötning (I have yet to discover what the word is in English) and solid wood. The idea is to make a chair which is perfectly suited to my back and will allow for a good back posture. 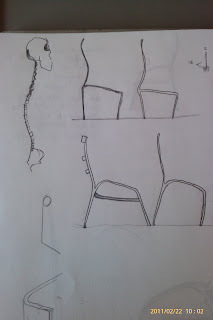 I have been sketching some ideas and experimenting a little in the workshop. 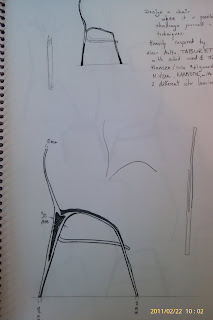 Experimentation is key in this project, as I need to 'master' the methods before making the chairs. The laminated side of the chair.